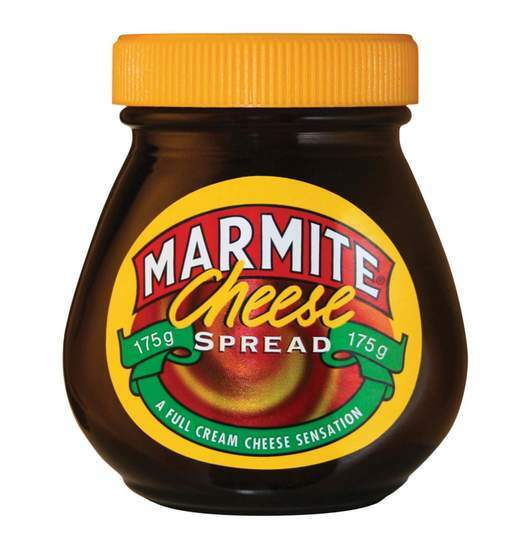 Marmite or vegemite and cheese spreads? Where do you live op? I would hazard guess that the majority of supermarkets sell all of them. Marmite is probably more easily obtained though. and where can I buy? In hell where they belong! Where do you live op?I would hazard guess that the majority of … Where do you live op?I would hazard guess that the majority of supermarkets sell all of them. 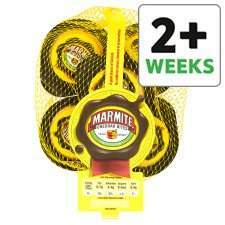 Marmite is probably more easily obtained though. They are asking for Marmite with cheese, spread. Not plain Marmite. Same with the Vegemite. I've never seen them here anywhere. They are asking for Marmite with cheese, spread. Not plain Marmite. … They are asking for Marmite with cheese, spread. Not plain Marmite. Same with the Vegemite. I've never seen them here anywhere. I once ate a pack of them whilst sitting in the car after we'd been supermarket shopping and my wife nipped in to Boots. I was only going to try one but they were a bit like Pringles, not particularly nice tasting but a strange compulsion to eat another and another!